What is San Diego Forward? What do we want our region to look like in 2050? Where will we live? How will we get around? How can we grow in a way that fuels our economy, preserves our environment, takes everyone's needs into account, and still maintains our quality of life? 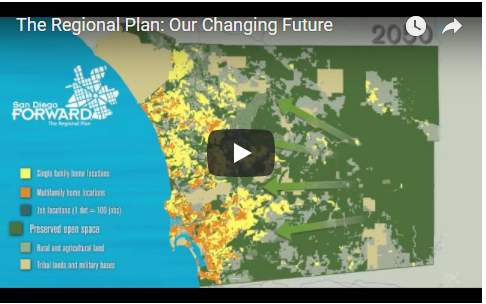 The Regional Plan tackles these questions and provides a blueprint for a sustainable future for the San Diego region. 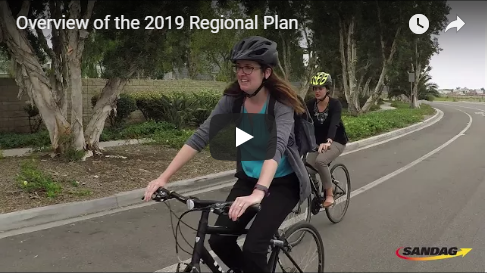 San Diego Forward: The Regional Plan was adopted by the SANDAG Board of Directors on October 9, 2015. 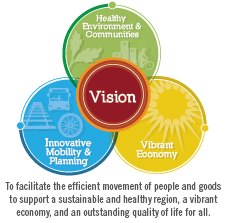 It combines the big-picture vision for how our region will grow by 2050 with an implementation program to help make that vision a reality. The Final EIR was approved in conjunction with the Regional Plan on October 9, 2015.